Your experience being photographed by us is causal. We are calm, mellow people and we work to blend right in with the scene. Overall, during the wedding day we shift between being seasoned directors and flies on the wall. As the stories of your day unfold, we jump in when needed and shoot quietly. We’re honored and humbled that you’re interested in having us document what will be one of the greatest days life has to offer. Matt and I loved getting married and we (I) wish we could have another wedding. There is a lot of information to follow. Allow us tell you everything you want to know upfront instead of having to wait for an e-mail, call us, meet with us and then e-mail us ten more times before we tell you our pricing. -To pause. Listen. Take things in. This means that you can let go of the idea of not being photogenic. Relax at the thought of hating to be photographed. This experience is not like your senior photos. It’s easy, fun and special. When we are documenting your wedding we have a thorough understanding of what kind of images matter and what kind of images are excessive. We’ve learned about the importance of listening to our couples along with asking a lot of questions to assure we know what is of value to each unique pair. We listen, advise and together develop the perfect approach towards documenting images that tell your story and become a lifelong heirloom. If you’re like most, you’ve not been married before and don’t really know what to ask in regards to wedding photography. We imagine you have a lot of questions and think you should. The experience is causal. We are calm, mellow people and effortlessly blend into every scene. We talk, walk, and within no time you’ll forget you are being photographed. Overall, during the wedding day we shift between being seasoned directors and flies on the wall. As the stories of your day unfold, we jump in when needed and shoot quietly. How many photos do you give us? It’s generally around 100 an hour, which is a lot. Many photographers debate about this – thinking that you may overwhelm the couple if you give them too many photos. We’ve found that we don’t know which photo will be most special to each couple. Because of that, we tend to give more than average. We edit out images that are duplicates, unflattering or mysteriously give you a double chin. Otherwise, we believe the more story-telling the better. Do you edit the photos? Yes, every photo is taken in a RAW format. From there, we compress the image and edit it so that the photo is at its best quality for you to print and share. We consider our approach towards editing a significant step in completing your wedding story. Will you give us the RAW files? Trust us, you don’t want the RAW files. It’s like buying your favorite designers fabric, pattern and sewing machine. Finishing the photos is all part of the art. What about black and white or color photos? This part is called “artistic rendering.” Sometimes the photo works best in color, sometimes black and white, sometimes both. We’ve got an eye for the finished product and will give you a variety of edits based upon each image. Every photo is a piece of art to us, from the initial capture to the final edit. What if I have a break-out? Do you edit this? We do our best to make sure the images look their best without making you look fake. As long as the edit doesn’t require excessive time spent outside of our normal editing time, we will include it. If you desire additional editing, we can provide a quote. Who will you be talking with ? That will be Jackie. No passing the phone along to several people. Your first email is with Jackie and she’ll sign the card in your final package. Even if you were to tell us that you wanted no photos of you smiling at the camera, we would make you take a few. If not for you, for your parents or your grandparents. It’s all part of the wedding story and it will complete your coverage. We think family photos are important. We pride ourselves in great, yet easy family photos. Our first priority is to get a great family photo, our second is to make the experience as efficient and pain free as possible. Albums and Art Pieces? Let us do the legwork for you. These photos are too valuable to not have them be preserved in the highest quality. 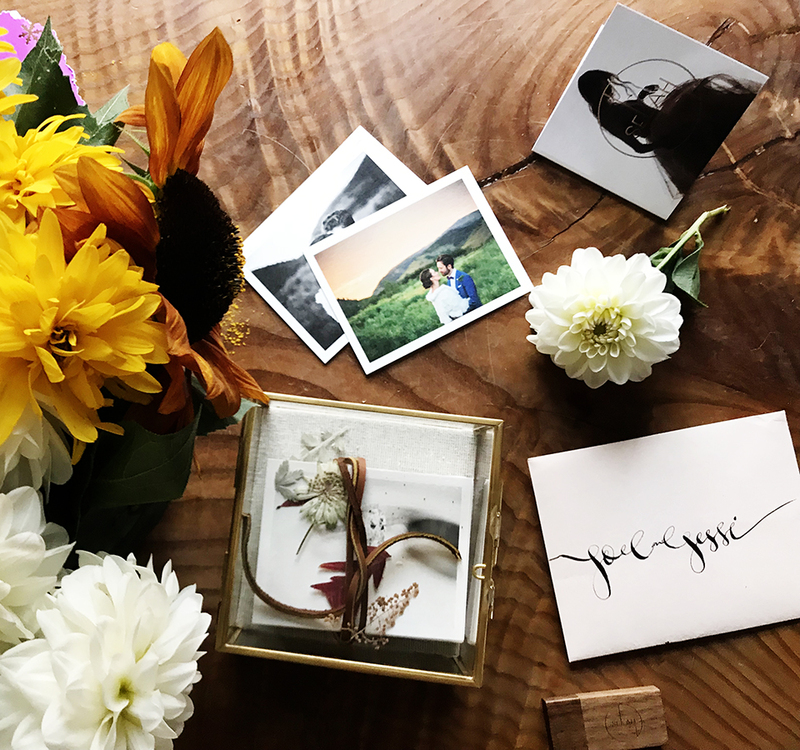 Put your wedding photos in albums and make it the crown jewel of your coffee table. Hang your photos on the wall as personal, custom art-work. We offer many options to print your books and photos. Do we get two photographers? Your primary photographer is Jackie and most of the time we do shoot with two photographers. 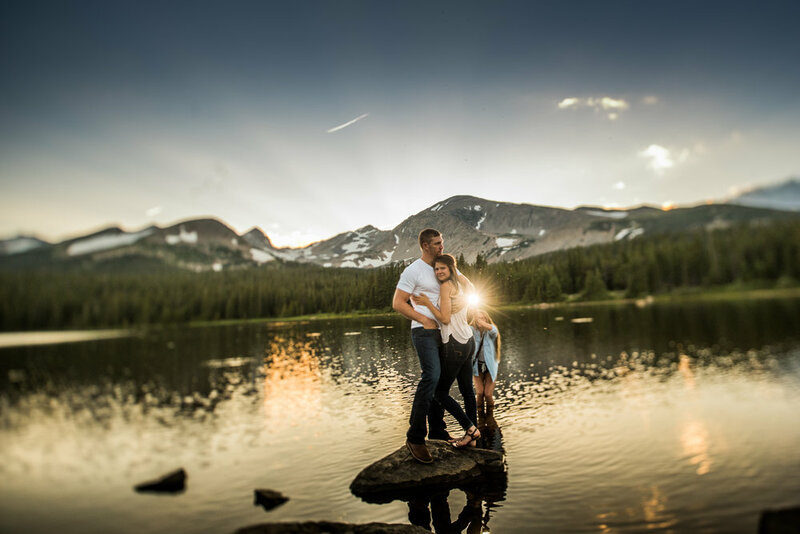 Jackie’s got over a decade of experience as a full time wedding photographer, has been noted as one of Denver's best photographers and acquired many accolades along the way. Their approach towards photographing weddings makes Matt’s position very important for larger weddings. He not only interprets for Jackie when she's in an artistic zone, he’ll be watching what she's photographing and covering something completely different. Whether that is shooting from a different perspective or photographing in another room. You’ll get two unique sets of images. What are your thoughts on engagement photos? We think, at the least, they are an opportunity for us to get to know each other better. When we step into the wedding day you’ve practiced, we know the flow. we know what you like and we are comfortable with each other. Aside from that, engagement photos are unique heirlooms. We are adamant about making your engagement photos very personal and individualized. It’s an opportunity to really get a set of images that show who you are. Do you do walkthroughs prior to the wedding? Walkthroughs are generally not necessary. We make photos by first finding good light, then good emotion. Background and setting just happen to be the place where those things happen. We will have your wedding photos in your hands four to six weeks after your wedding. Engagement photos take two to four weeks. We book a select amount of weddings each year and often reserve dates for couples over a year in advance. If you are confident that we are the photographers for you, we recommend booking as soon as possible. Our pricing begins at $3500 which is suited for small, intimate, simple weddings. Pricing goes up with the need for two photographers and when we add in things like engagement sessions, albums, more coverage etc. Check in to get a quote for your wedding day. Every collection includes Jackie, a decent amount of coverage time and digital files. Get in touch for a quote for your wedding day. Can we go below our base package? On a rare occasion, like if it's two weeks before your wedding or if you're getting married on a Tuesday in our backyard. Otherwise we really believe in the value of everything we offer and think that things like albums and portrait sessions are more of a must than a luxury. If you want luxury, we offer it but our base packages start simply and include quality necessities. This style of photography, wedding photojournalism, artistic photography whatever you want to call it is unique and not for every couple. We believe in it and it’s imperative that the couple’s who book us do too.